The John Gaus Award and Lectureship honors the recipient’s lifetime of exemplary scholarship in the joint tradition of political science and public administration and, more generally, recognizes and encourages scholarship in public administration. Paul C. Light is the recipient of the 2015 John Gaus Award and Lectureship, which honors a lifetime of exemplary scholarship in the joint tradition of political science and public administration. Light is currently the Paulette Goddard Chair of Public Service at New York University’s Robert F. Wagner Graduate School of Public Service and founder of the Global Center for Public Service. His prior positions include vice president for governmental studies and Douglas Dillon Senior Fellow at the Brookings Institution, director of the Public Policy Program at the Pew Charitable Trusts, and associate dean at the Hubert H. Humphrey School of the University of Minnesota. The letter nominating Light described his body of research as “focusing the disciplinary lens of political science on enduring questions of public administration.” Indeed, Light has an outstanding and prolific record of scholarship on government at the intersection of public administration, political science, and public policy, with research on bureaucracy, civil service, Congress, entitlement programs, the executive branch, government reform, nonprofit effectiveness, organizational change, and the political appointment process. He has authored 20 academic books, 4 books that translate issues for more general audiences, and scores of peer-reviewed articles, book chapters, and research reports. This research has earned frequent recognition from his peers. Light is a winner of three book awards, including the 2010 Herbert Simon award for A Government Ill Executed: The Decline of the Federal Service and How to Reverse It, and two Louis Brownlow Book Awards from the National Academy of Public Administration, for The Tides of Reform: Making Government Work, 1945–1994 and Thickening Government: Federal Hierarchy and the Diffusion of Accountability. His dissertation on the president’s agenda and domestic policy choice, which later appeared in print in three editions, won the E. E. Schattschneider Award from APSA. In addition to his intellectual leadership in universities and research institutes, Light has also made important contributions to public service throughout his career. From his time as a staff member of the US Senate Committee on Governmental Affairs, he has actively worked to communicate research to policymakers. He has given testimony before Congress on 27 separate occasions and has served on high-level national commissions, the National Commission on the American State and Local Public Service (Winter Commission), and the National Commission on the Public Service (Volcker Commission). 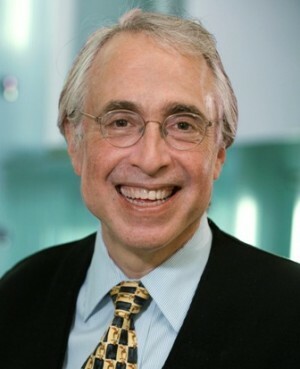 Currently, he is a senior advisor for the Volcker Alliance, a senior fellow of the Governance Institute, and a fellow of the National Academy of Social Insurance and the Center for Excellence in Government. A fellow of the prestigious National Academy of Public Administration, Light was the 2007 Elmer Staats Lecturer for NAPA. He has also served on boards and task forces for the Association of Public Policy and Management and the National Association of Schools of Public Affairs and Administration. The committee is pleased to honor Light’s many scholarly accomplishments and distinguished service with the 2015 John Gaus Award.